The conceptual starting point for the project is an analogy between the phenomena of Auroras, also known as Northern Lights/Southern Lights and neon light: Both of these optical phenomena are results of excitation of electrons in gas. Northern lights are traditionally riddled with myths, and light tubes are in contrast trivial technology. While as technology and science may be regarded as the death of myth, the premise/prerequisite of this project is that technology and scientific explanatory models also may lay grounds for new myths. Aurora Ekvatorialis is based on the same physical elements. The light phenomenon taking place in the light installation is on a physical level the same as the aurora: electricity through gas. The gas in the light tubes is noble gas extracted from the air in Ghana, close to the equator. The batteries that power the lights are charged with solar energy in Ghana. As such, the invisible gas together with the electricity – argon and sunlight – are the main materials in the work. As the supply of energy from the batteries is limited, the lights are turned on and off according to a load-shedding schedule so that the solar energy will keep through the exhibition period. 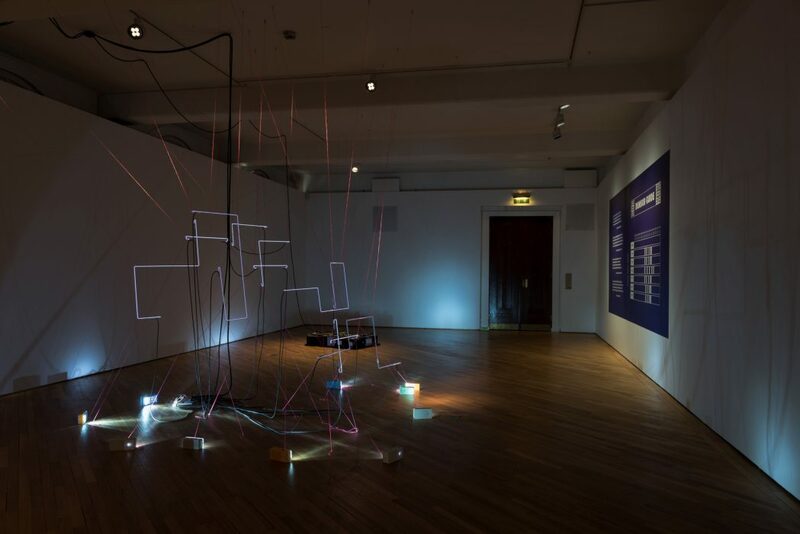 The work has restriction as a basic condition, as it is a light installation that is not always “on”. 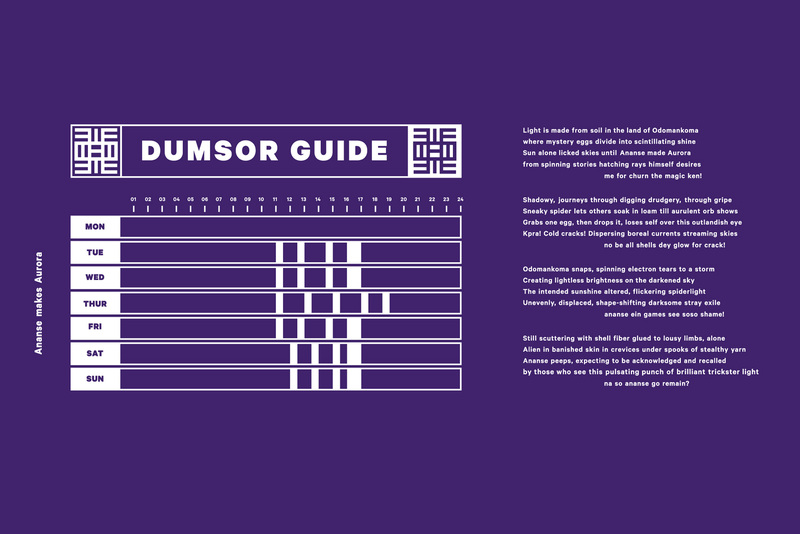 The dumsor guide (dumsor means on and off) in the form of a mural in the installation, indicates when the lights will be on and off, and references load-shedding schedules announcing planned blackouts. 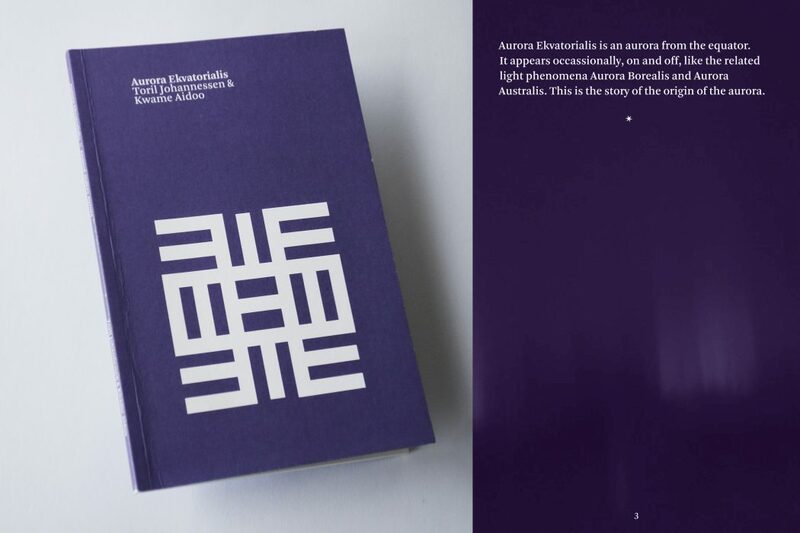 The short story in the booklet “Ananse Makes Aurora” written by Kwame Aidoo, spins a tale about the mythical origin of the Aurora phenomenon, with the spider character Ananse known form Ashanti folk tales as the main protagonist. Northern- and Southern lights have inspired different myths in the areas where they can be seen, but according to this tale, the polar aurora phenomenon originates with Ananse from the equator. Produced with support from The National Museum of Art, Architecture and Design, and NBK/Vederlagsfondet. Aurora Ekvatorialis, light installation and mural. 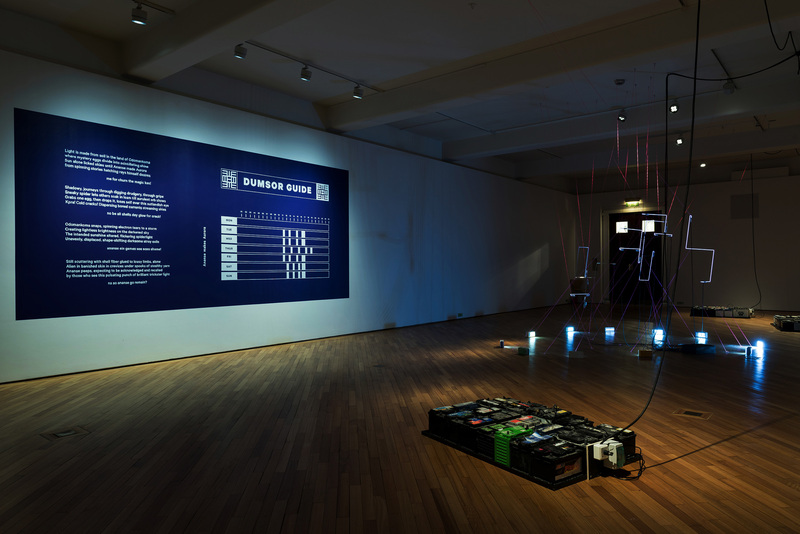 Installation view from the exhibition NORSK NATUR, Museum of Contemporary Art. Photo: Annar Bjørgli / National Museum of Art, Architecture and Design, Oslo, Norway. Aurora Ekvatorialis, load shedding schedule. Aurora Ekvatorials, Ananse Makes Aurora. Booklet, 40 pages.